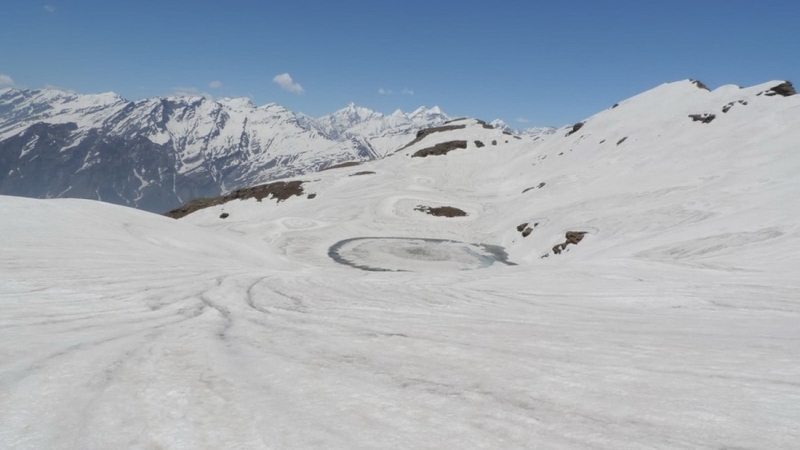 Bhrigu Lake Trek is a best short trek to do in Manali. 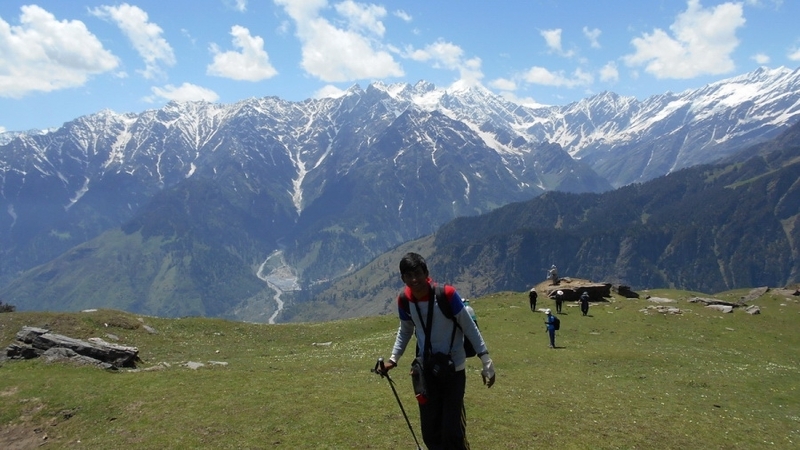 The trail along the Vashisht ridge presents a spectacular view of Pir Panjal mountain peaks. 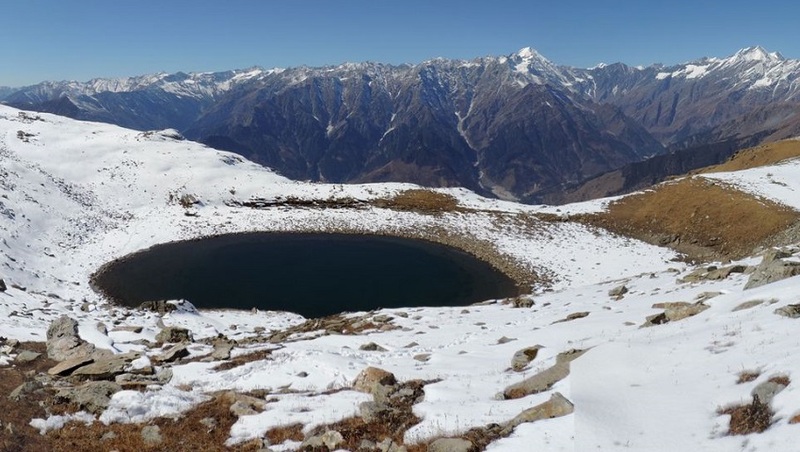 Bhrigu Lake is located at the top of this ridge at an altitude of 4150m. 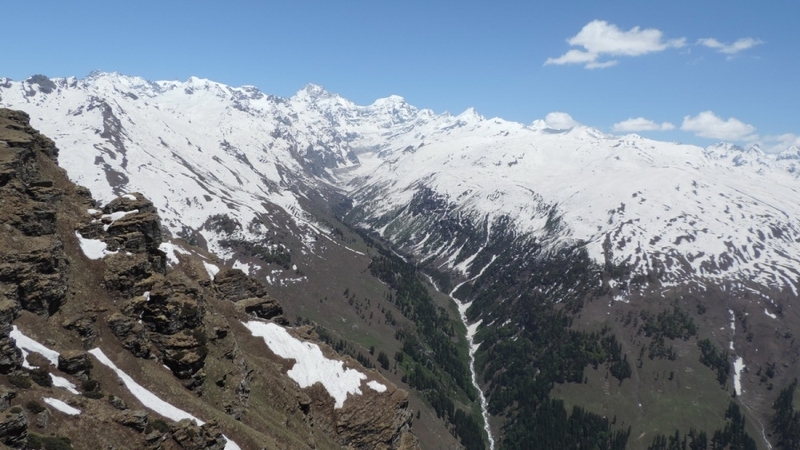 This ridge lies in the middle of Hamta valley to the East, Solang & Beas River valley to the West. 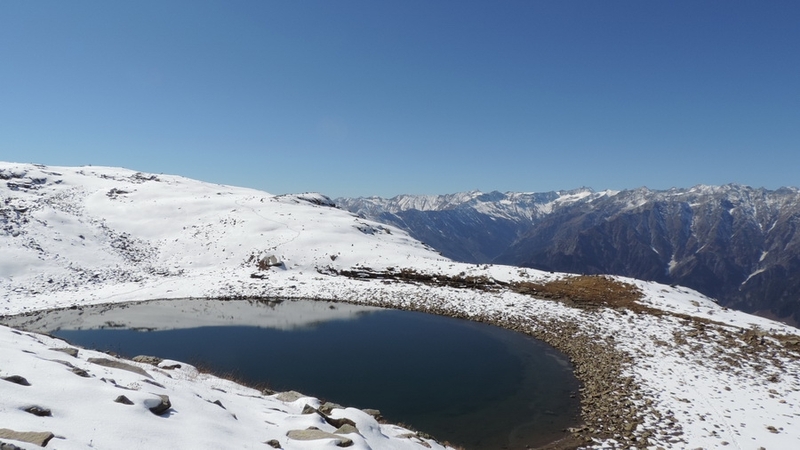 Bhrigu Lake Trek can be done starting from May to Mid of November. 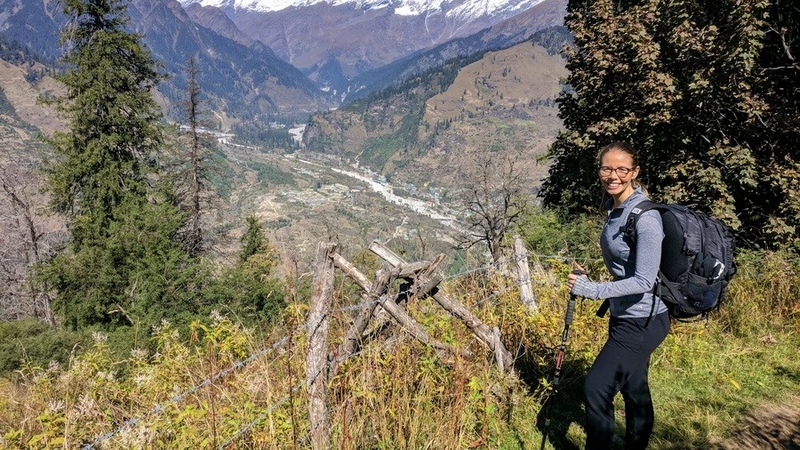 But it's not advisable to do during the period of monsoon especially in August when the entire ridgeline covers with thick clouds which can result in losing the trail. The Panduropa (Pandu refers to Pandavas, Ropa locally means Field used for cultivation) generally once Pandavas stayed at this place. 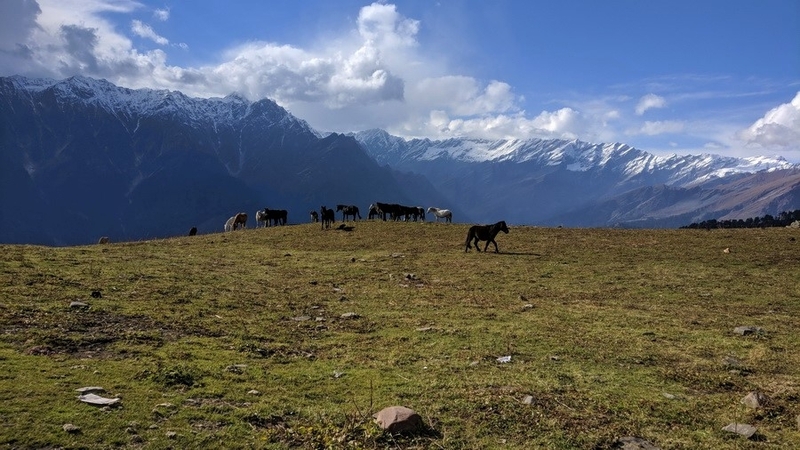 Its 4-5 hours of ascending to reach Bhrigu Lake, the trail goes along the west ridge lines and present a spectacular view of Pir Panjal mountain peaks. To the Northwest Hanuman Tibba, Shikhar Beh, Friendship peak, to the West Kalihani pass, To the East Inderkila, Indrasan and Deo Tibba. 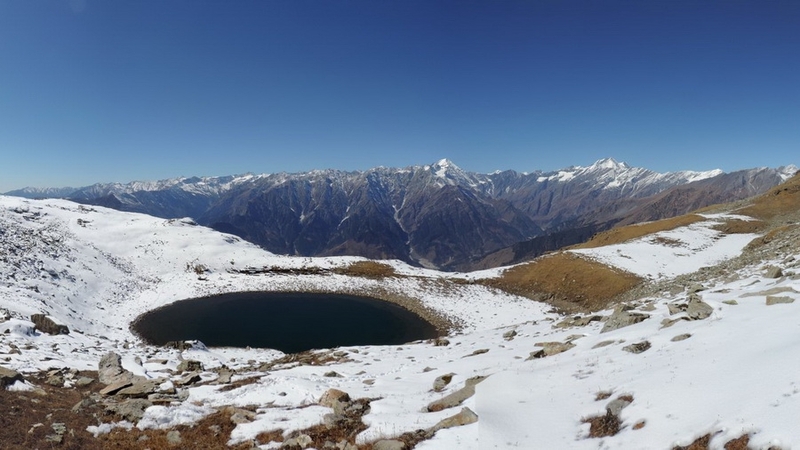 Day 3: Trek to Bhrigu lake (4,150 m) - Rauli Kholi (3820m), 7-8 hrs. Day 4: Trek to Gulaba - Kothi, 5-6 hrs. drive to Manali 30 minutes. 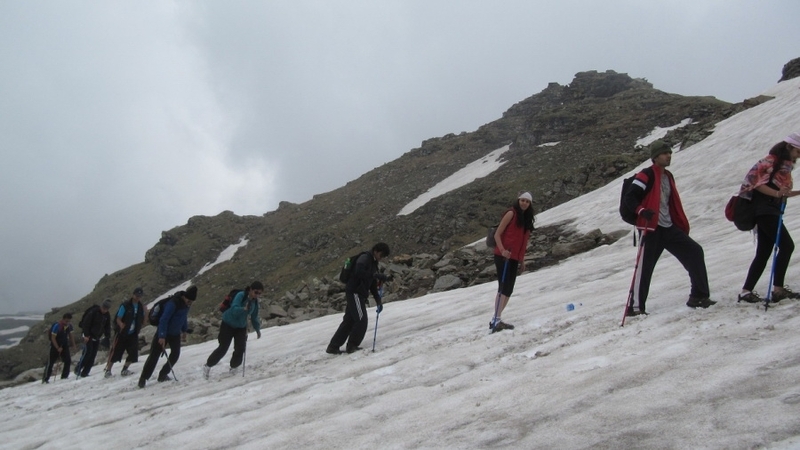 Day 3: Trek to Bhrigu lake (4,160 m) - Back to Panduropa, 7-8 hrs. Setting off from Manali you drive to Kulang, The tiny settlement of Kulang village is 2 km before Palchan and 2 km after Nehru Kund on the Manali - Rohtang highway. The starting point of a trek to Bhrigu Lake. 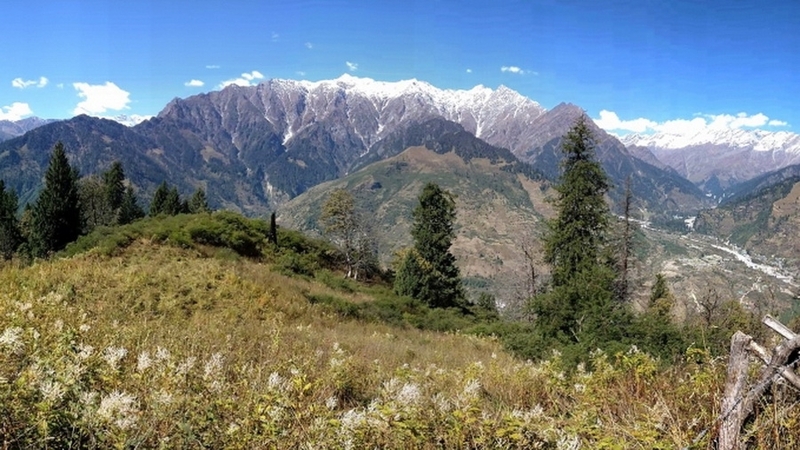 The first one and half day trek through Deodar, Oak and Pine forest on gentle slopes. The Moridugh is situated just above Jogini falls. Leaving Moridug today the trail goes through the forest for few hours than reach above the tree line, from here the impressive view of Beas River, Solang valley and numbers of peaks rising above 5500 meters. Reach Panduropa. The Panduropa (Pandu refers to Pandavas, Ropa locally means Field used for cultivation) generally once Pandavas stayed at this place. During summer entire slopes or meadows is covered with wild Alpine flowers. After a short break and having some snacks ascend to the ridge from where you can to the East two peak rising those are Indrasan and Deo Tibba. 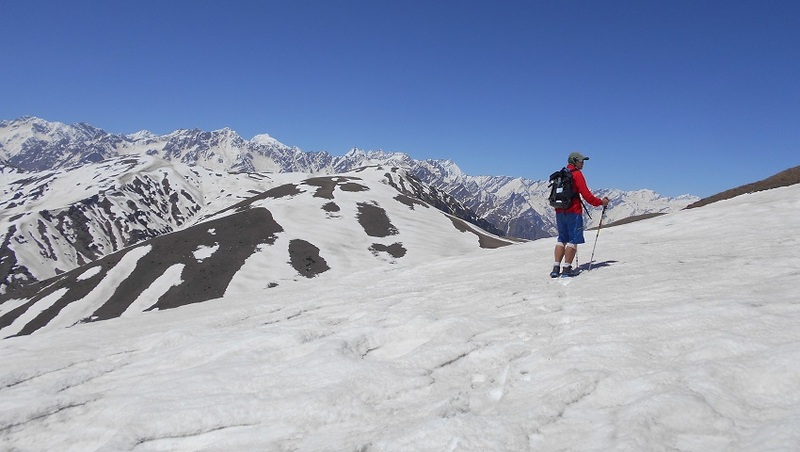 Its 4-5 hours of ascending to reach Bhrigu Lake, the trail goes along the west ridge lines and present a spectacular view of Pir Panjal mountain peaks. To the Northwest Hanuman Tibba, Shikhar Beh, Friendship peak, to the West Kalihani pass, To the East Inderkila, Indrasan and Deo Tibba. Soon after the Lake trail descends through boulder and rocky moraine to the campsite of Rauli Kholi. Today after breakfast the trail descends through Gulaba slopes to Kothi. Now trek through a dense forest of Deodar and Fir. Arrive at Kothi and drive to Palchan - Manali. 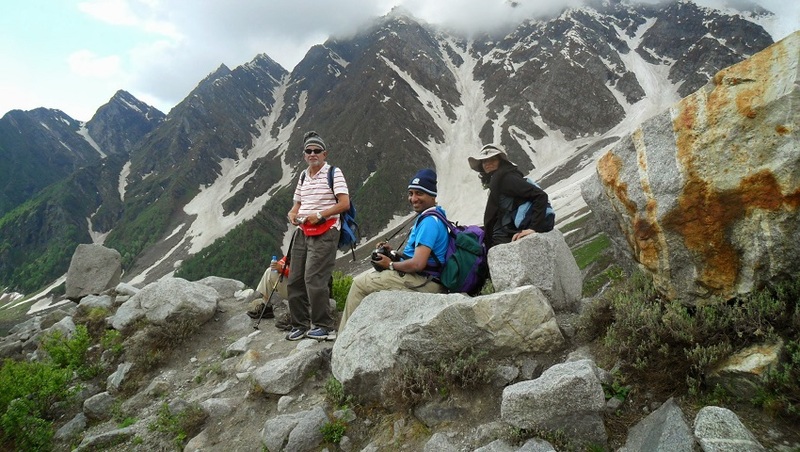 Hi Prem, "We had a great time on the trek and enjoyed the entire experience. Although there were clouds in the latter half of the trip it failed to dampen our spirits. Thank you for your wishes, it was a really wonderful feeling to have accomplished the challenging climb till the summit of Lake Bhrigu. Tenzing, Ravinder and the rest of the team were great and took good care of us during the entire trip. They helped us cross the paths on the mountains whenever it became treacherous and made sure that we enjoyed the trip all along the way. Food, in general, was good too. Your cook, whose name I forget, whetted up our appetite with some delicious dishes. Whenever we arrived all tired from the trek, he had hot delicious coffee/tea and snacks ready for us which was rejuvenating. All the staff were very cordial and genial and behaved very nicely with us, I liked this very much personally. They even enjoyed with us during campfire and livened up the atmosphere. The camps were great and we were impressed by the overall arrangements made by your team and also the scenic camping sites chosen by your team. 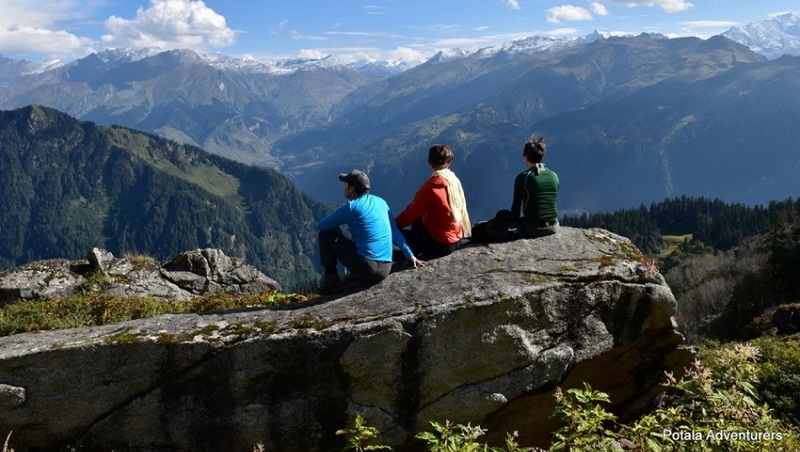 Will I recommend you to my friends and family interested in going for trekking? A Big Yes! Regards"
“Had an amazing time and one of the most memorable & cherishable memory. Great hospitality at the camps and cozy accommodation. When it comes to the food, this is the best & the most luxurious food we ever ate on any trek. Kudos to the kitchen staff, Had a great leader, friend and guide with an ever positive, satirical and comical attitude. 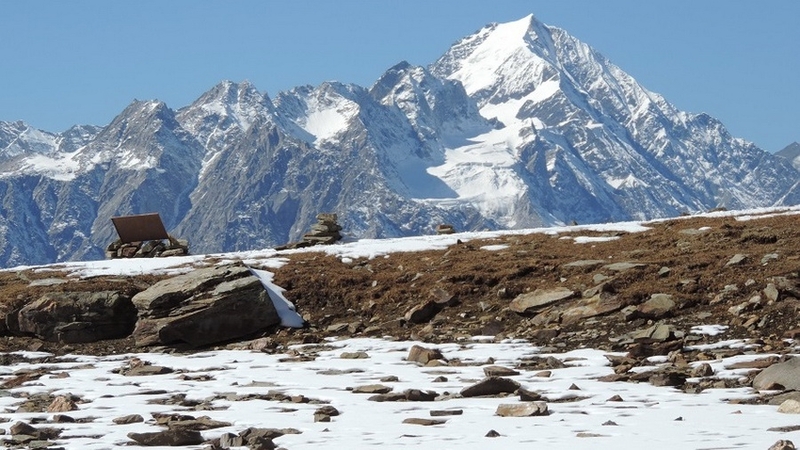 Overall a great experience, thanks to Potala Adventures for this well organized a trek. " “One of the best experience of my life. I found the trek to be a little tough and I couldn’t make it to Bhrigu Lake, but the people in charge were extremely fun and caring. Couldn’t have asked for a better guide, whose sense of humor kept us laughing and energizing. Special thanks to the kitchen staff for the memorable food. Looking forward to going on a trek with all of them soon. " “Loved the whole adventure and I am glad we got time to spend with such an incredible personality, inspiring period. This has been the toughest trek so far. The guide made this trek look easy by motivating throughout the way. Looking forward to more such treks (easier ones though). Kudos! Thank you for such an amazing & enriching experience. A special shout to our kitchen staff and guide for being so helpful, kind & caring. I had the best food & time on this trip. Thumps up!!! " "To, Potala Adventurers, Manali, I would begin by saying you guys played a major role in making this Bhrigu Lake trip possible for us. Despite people pulling out of our group till the last moment, you were surprisingly accommodating and supportive. 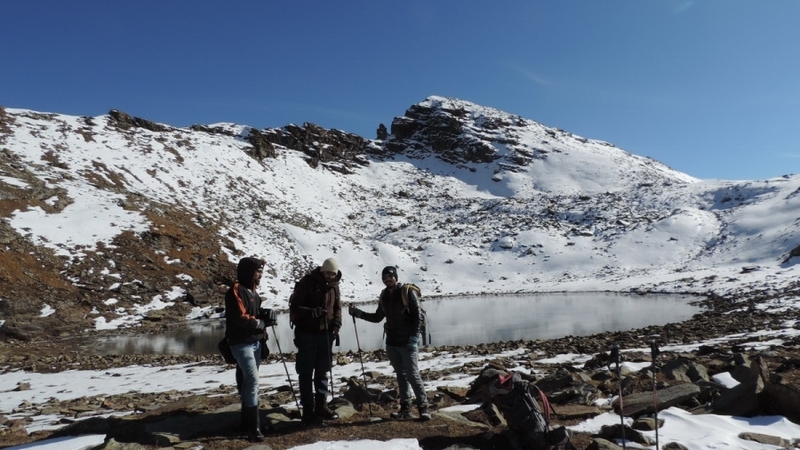 For the three of us (Saurabh, Ashish & Aakash), the three-day trek in the winters of late November will forever be unforgettable. The constant motivation by our tour leader Mr. Prem Ji during the steep climbs of 4200m, the hospitality & great food service at all camps by the porters and all the arrangements made by Tenzin at Potala's office in Manali were fabulous. We are thankful for the well - planned & organized a trip to you guys at Potala Adventurers and will surely come back for more. Hopefully Chadar Trek, Zanskar in January 2015. 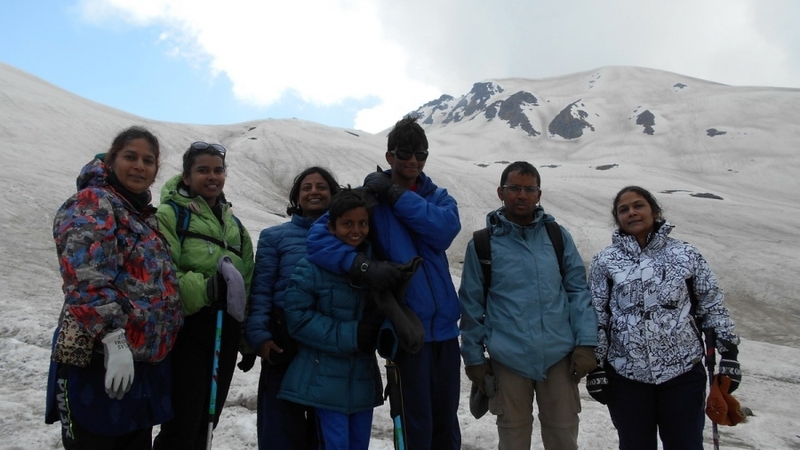 K. Saurabh "
"We had a very good time on our trek. The guide and staff were all fantastic. Knowledgeable guide and the food/facilities were top notch. 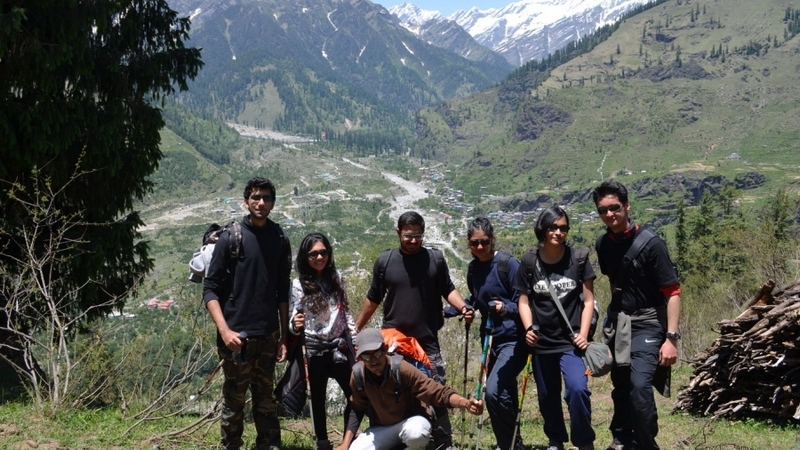 Would recommend to anyone visiting Manali and wanting a great experience with some spectacular views of the mountains." 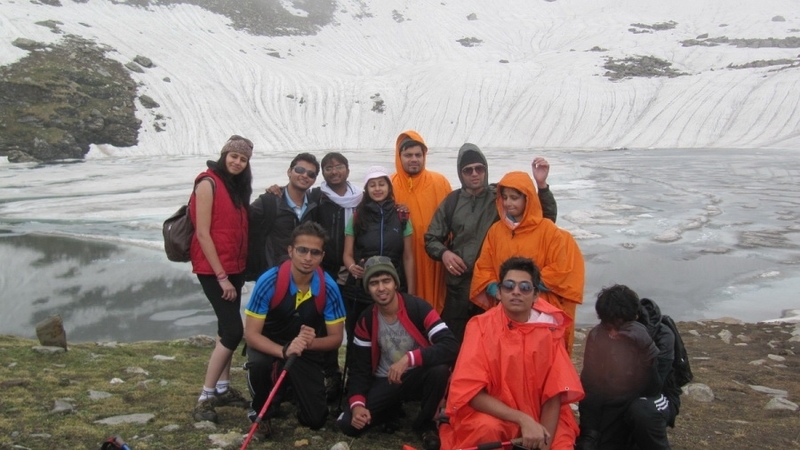 "Hi Prem, Me and my wife had a wonderful trek of Bhrigu with your team. 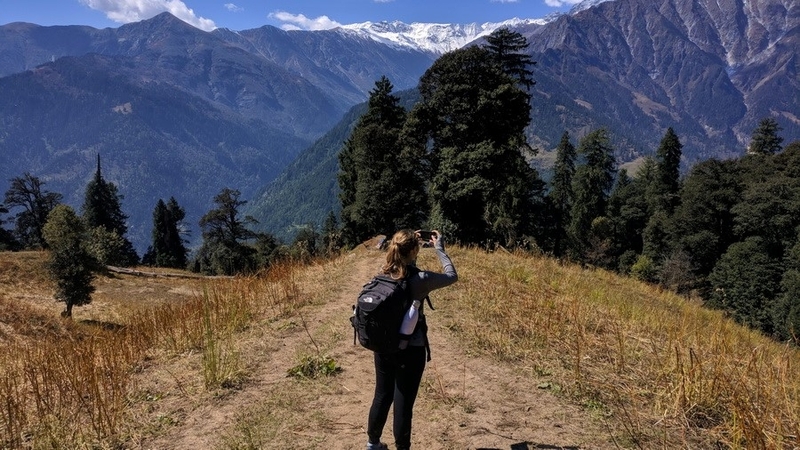 My wife was the first time trekker and new to the North of India. We did come with a lot of apprehensions. But then your team made it easy for us and we had a great time with lifetime memories...Food was awesome and hospitality by your team was really nice...The Guide took some really awesome pics for us too. Overall we have a great time and awesome experience in the mountains. 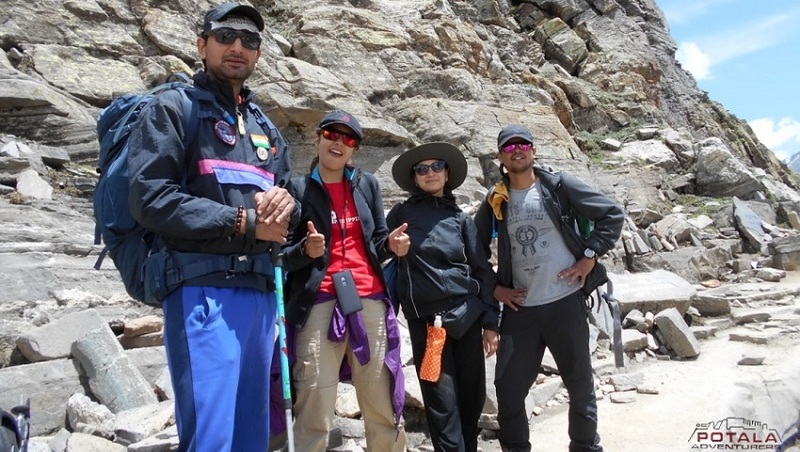 Also looking forward to having another trekking with you guys to Ladakh in a couple of years." 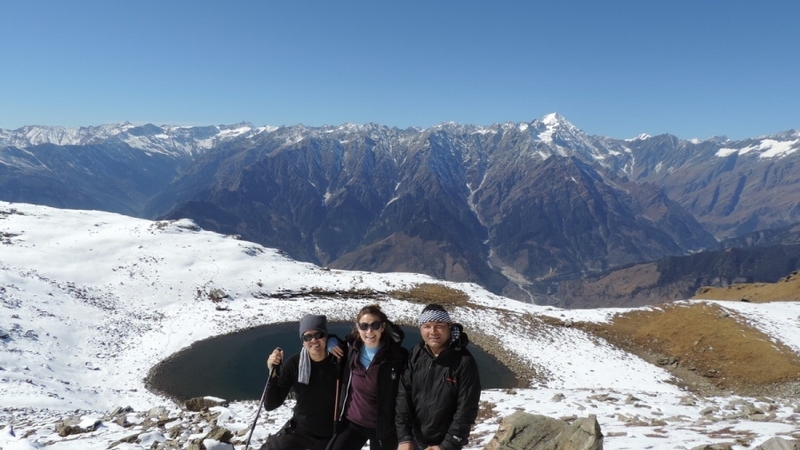 "Had a great trip to Bhrigu Lake with Potala, Manoj our guide was fantastic and so was the Tibetan cook ." 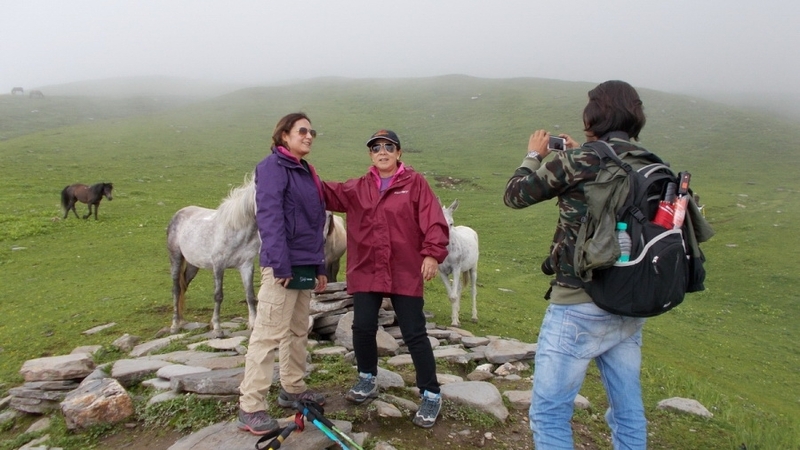 "We had an excellent trek with Potala Adventures! They were very knowledgeable, flexible and helpful. The food on the trek was only eclipsed by the beautiful views of the mountains. We would recommend Potala Adventures to anyone. They helped with our logistics for coming and going and shared their rich knowledge of the area. The tents and bedding were excellent. Prem Singh was wonderful. We had an amazing experience." Prem/Tenzin/Potala Adventures, " I cannot thank you enough, I had such a wonderful time in Manali and all thanks to you. I moved to the hotel above your offices Hotel Valley View from one of the more expensive hotels where I was just bored. I found it to be very comfortable and better still it is right by the main high street (town center) Opposite Himachal tour office. Very reasonably priced indeed I would recommend it for convenience to all amenities, your offices and front town and valley view out on the balcony. The friendliness and helpful local knowledge of the hotel staff (Prem) and you guys were very handy getting around from here is perfect and nearby Hidimba temple is about 15 mins up the road. 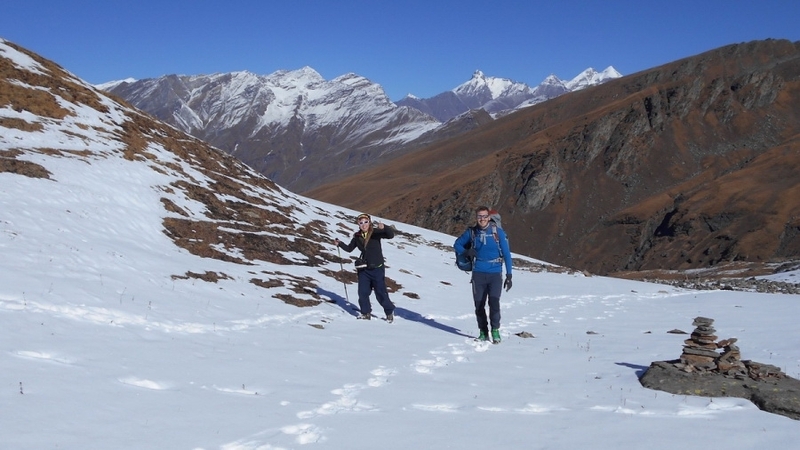 As far as the trekking I could not have asked for a more professional and knowledgeable team. 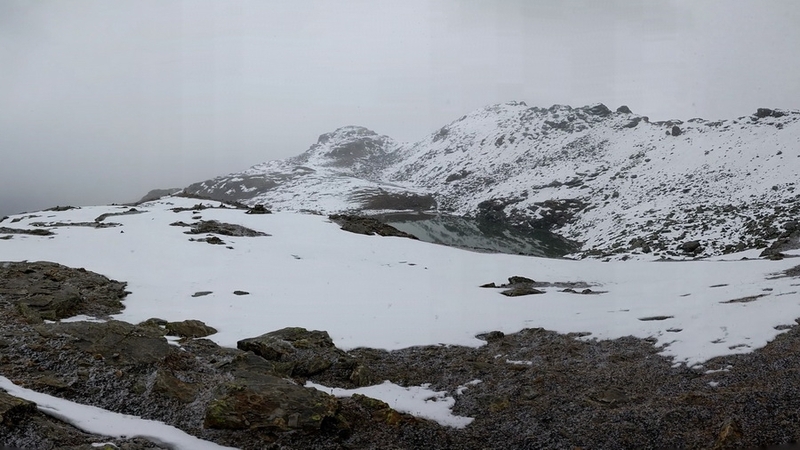 It had snowed considerably I dreaded thinking my trek would be canceled, but we soldiered on through the deep snow and made camp on the first day in slightly snowy conditions knowing the weather was better forecast for the next day. The camp was so amazing I could not believe it. A kitchen tent doubling as sleeping quarters for the Guide Ravinder, the chef Yeshu and Kully Dai, (Oh dai tu durda que) I had my own windproof tent. I cannot believe the food Yeshu was cooking us they bought the whole 9 yards with them AMAZING. We built a campfire and sat our Dukaans (bums) down and watched the Billions of stars in the clearing Himachal skies above, what a sight the milky way lighting up the snow, tried to take a long exposure pic, it seems that sight is only for us. What an amazing sight in the morning waking up to a view of the Dhauladhar range in front of us. Spicy cinnamon tea in the morning, and of higher to some awesome views (correct use of the word awesome) the best experience of my life, and i have raced formula 1 hovercraft, swam with dolphins and much more. I will be coming back at some point and will definitely book with you guys. Ravinder Yeshu Dai, from the bottom of my heart, thank you so so much for the memories I will never forget you. " Setting off from Manali you drive to Kulang, The tiny settlement of Kulang village is 2 km before Palchan and 2 km after Nehru Kund on the Manali - Rohtang highway. The starting point of trek to Bhrigu Lake. 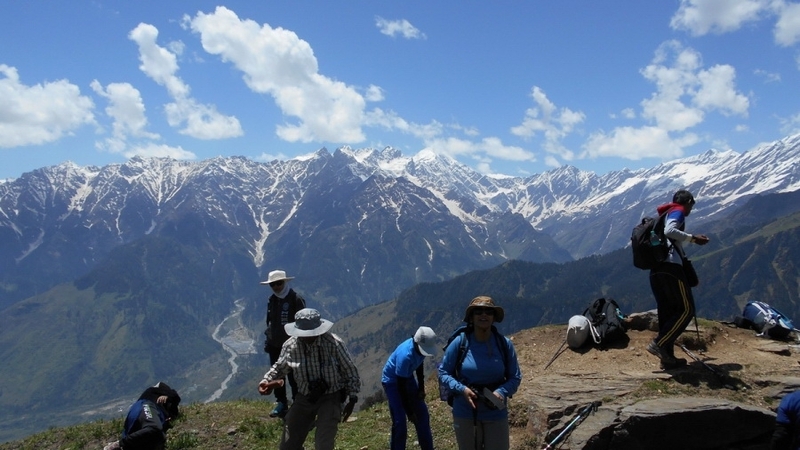 The first one and half day trek through Deodar, Oak and Pine forest on gentle slopes. The Moridugh is situated just above Jogini falls. Leaving Moridug today the trail goes through forest for few hours than reach above tree line, from here the impressive view of Beas River, Solang valley and numbers of peaks rising above 5500 meters. Reach Panduropa. The Panduropa (Pandu refers to Pandavas, Ropa locally means Field used for cultivation) generally once Pandavas stayed at this place. During summer entire slopes or meadows is covered with wild Alpine flowers. After short break and having some snacks ascend to ridge from where you can to the East two peak rising those are Indrasan and Deo Tibba. 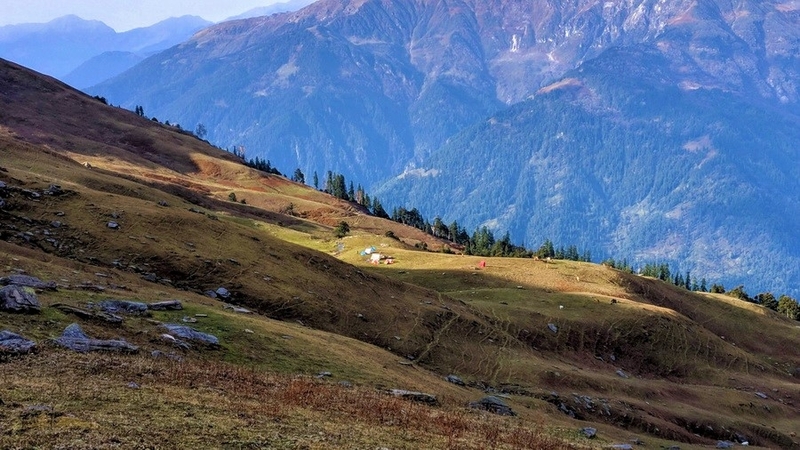 Its a 4-5 hours of ascend to reach Bhrigu Lake, the trail goes along the west ridge lines and present a spectacular view of Pir Panjal mountain peaks. To the Northwest Hanuman Tibba, Shikhar Beh, Friendship peak, to the West Kalihani pass, To the East Inderkila, Indrasan and Deo Tibba. Soon after the Lake trail descend through boulder and rocky moraine to the campsite of Rauli Kholi. Day 4 Trek to Gulaba - Kothi, 5-6 hrs. drive to Manali 30 minutes. 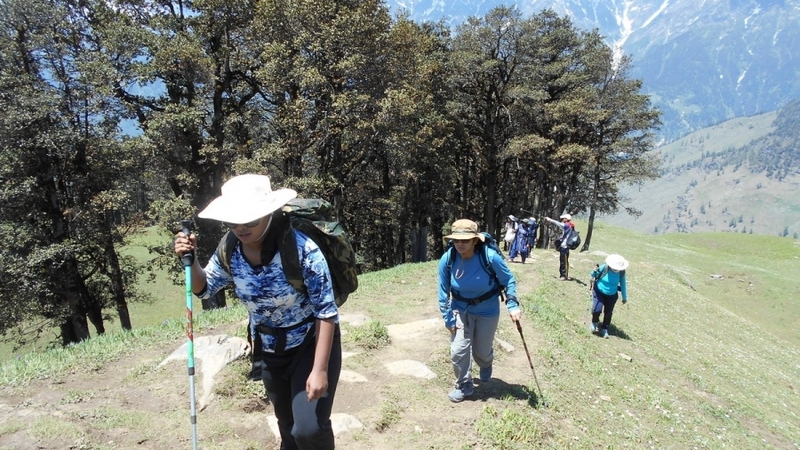 Today after breakfast the trail descend through Gulaba slopes to Kothi. Now trek through dense forest of Deodar and Fir. 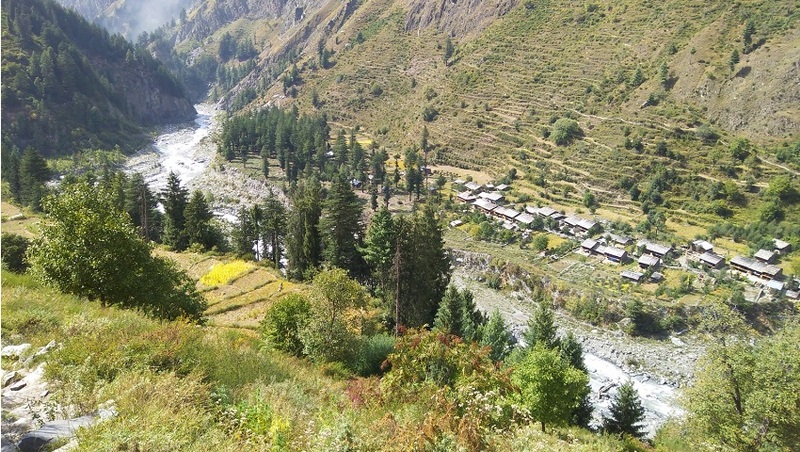 Arrive at Kothi and drive to Palchan - Manali.